At Ox Foundation Solutions, our certified basement waterproofing and foundation repair specialists are ready to help with your basement or crawl space concerns. We offer a full range of basement waterproofing, foundation repair & crawl-space encapsulation services from drainage and sump-pump installation to structural repair solutions. We will make your whole home healthier and safer for your family by treating basement and foundation issues with our custom-designed waterproofing, foundation repair and moisture-control systems. With many years of experience on our team, you can always count on Ox Foundation Solutions to come up with the right solutions. Foundation cracks from slab settlement can affect both new and existing structures. Whether you are dealing with a sinking slab in your basement, garage, driveway or patio, a common solution is to demolish and replace the entire slab. Not only is that approach too expensive, but it is also unnecessary. Ox Foundation Solutions offers a more cost-effective alternative with OxPoly®, a concrete-lifting technique that is more expedient, less disruptive and less expensive than other common slab-raising methods. The OxPoly® process involves drilling one or more small holes in the sunken area of your slab, then injecting an expanding “geotechnical” foam beneath the slab. As the foam expands because of a chemical reaction, it pushes the slab back toward its original position. The technician controls the injection process for just the right amount of slab-raising action. 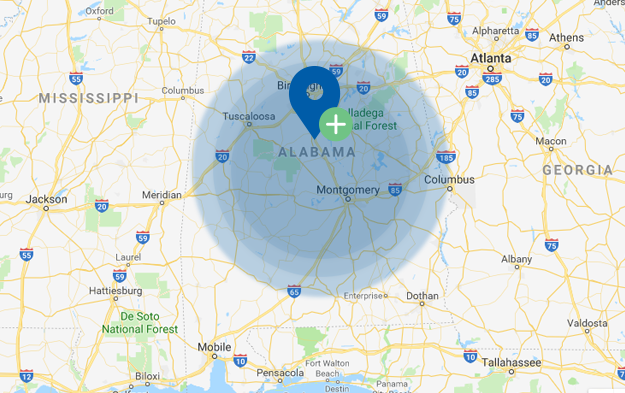 Regardless of what type of attention is required for your basement, foundation or crawl space, the proven professionals at Ox Foundation Solutions have provided it hundreds of times for homeowners in Birmingham, Tuscaloosa, Montgomery, Huntsville and dozens of other communities throughout Alabama. Whether you need to add a dehumidifier, ventilate a crawl space or remove some pesky dust mites, our certified crews can help. When you need our services, contact us online or give us a call at 205-303-3404.